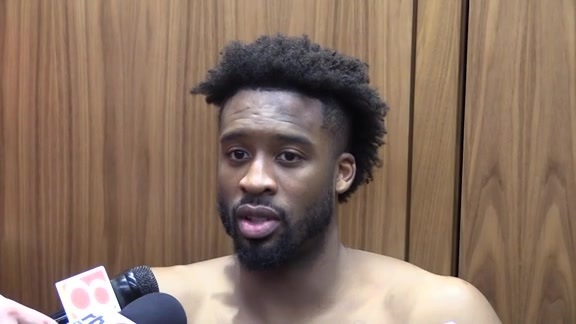 Wesley Matthews' Pacers debut got off to a slow start, but you know the saying — it's not how you start, it's how you finish. The 10-year veteran signed with Indiana on Sunday and was in the starting lineup a day later, but he looked like he was still finding his way for much of Monday's contest against the Charlotte Hornets, missing his first six shots. But with Charlotte mounting a rally, having trimmed a 14-point fourth quarter deficit to seven, Matthews rose to the occasion. With four minutes remaining in the game and the shot clock winding down, Thaddeus Young dished from the low post to Matthews at the top of the key. The 6-5 guard buried a deep 3-pointer, then snapped around to exhort the crowd. 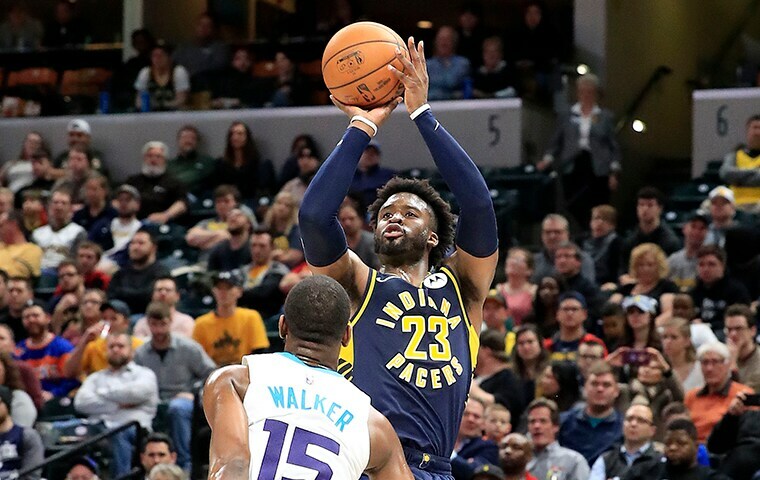 Matthews added another three with 2:15 remaining as the Pacers (38-19) held off the Hornets (27-29) for a 99-90 win, their sixth straight victory. "Honestly, I wasn't worried about the offensive end," Matthews said after the win. "This team has been playing extremely well and the last thing I want to do was to mess it up...Obviously, I would have liked one (shot) to fall in the first half. "But they came when I needed them." Matthews finished with eight points, five rebounds, and three assists in his Pacers debut. "I'm his biggest fan," starting point guard Darren Collison said of the new addition. "I just love how he approaches the game. He doesn't really care too much about the offensive end, it's all about defense and helping the team win. "And even though he struggled with his shot early on, he hits two big shots to close the game out." Myles Turner had a team-high 18 points, eight rebounds, three steals, and three blocks in the victory, while Collison added 13 points, four boards, and eight assists. Charlotte jumped out to an early 10-4 lead on Monday, but the Pacers responded quickly. Collison and Turner scored five points apiece as Indiana reeled off a prolonged 20-4 run to move in front. Tyreke Evans buried a corner three and a pull-up jumper on the Blue & Gold's final two possessions of the first quarter to give the hosts a 32-19 lead heading into the second. Evans hit another 3-pointer for the first points of the second quarter, and subsequent buckets from Cory Joseph and TJ Leaf helped the Pacers' lead balloon to 20 points. The Hornets trimmed a few points off the lead before halftime, but still trailed 54-38 at the break. Indiana held the visitors to just 2-for-21 shooting from beyond the 3-point arc over the first two quarters. Charlotte found a bit more rhythm to start the second half, opening the third quarter with a 10-3 run to get back within single digits. All-Star guard Kemba Walker was brilliant in the frame, scoring 18 points, including seven during a 14-4 run that cut the Pacers' lead to 72-71 with 1:03 remaining in the quarter. 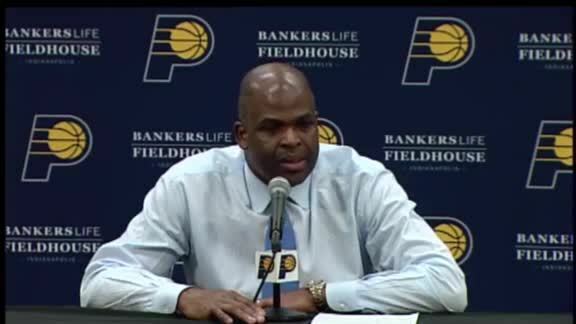 But Indiana answered, as Turner buried a three from the top of the key and Collison added a layup on the next possession to give the hosts a six-point advantage entering the fourth quarter. Domantas Sabonis and Doug McDermott both dunked as the Pacers scored the first eight points of the final frame to push their lead back to 14. The Hornets slowly clawed back and back-to-back 3-pointers from Kemba Walker made it 89-82 with 5:27 remaining. Neither team would score again until Matthews' three with 3:57 to play. "We all trusted each other," Turner said. "We got some key stops and hit some big shots." Five Pacers finished the night in double figures. Reigning Eastern Conference Player of the Week Bojan Bogdanovic had 14 points and Evans scored all 12 of his points in the first half, while Young tallied 11 points on 5-of-7 shooting, eight rebounds, and six assists. Walker led all scorers with 34 points (26 in the second half) on 10-of-23 shooting (4-of-12 from 3-point range) to go along with nine rebounds and three assists. Jeremy Lamb added 21 points and seven rebounds for Charlotte, while Cody Zeller finished with 18 points and nine boards. The Pacers will host their fifth straight home contest on Wednesday — their final game before the All-Star break — when Giannis Antetokounmpo and the East-leading Milwaukee Bucks come to The Fieldhouse. Sabonis narrowly missed out on his 23rd double-double of the season, finishing with nine points on 4-of-5 shooting and nine rebounds. Turner went 2-for-3 from 3-point range on Monday and is now 10-for-13 from beyond the arc over his past four games. McDermott returned to the lineup after missing the previous five games with bruised ribs and scored six points off the bench, all of them coming in the fourth quarter. Walker topped 30 points for the 18th time this season. The Hornets finished with 21 offensive rebounds to Indiana's five, including 15 in the second half alone. It matched the most offensive boards by a Pacers opponent this season, tying the mark set by Atlanta on Dec. 31. Charlotte's 38 points in the first half were the fewest by a Pacers opponent before halftime this season. The previous low was 39 by Memphis in the season opener on Oct. 17. The Pacers held the Hornets to just 32.2 percent shooting on Monday, including 17.5 percent (7-for-40) from 3-point range, the lowest 3-point percentage by a Pacers opponent this season. Indiana finishes the regular season 2-1 against the Hornets. The home team won all three games in the season series. The Pacers now have three different winning streaks of at least six games this season, the first time that's happened since the 2003-04 campaign. 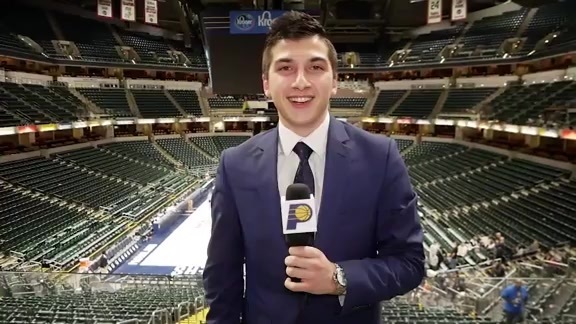 Bogdanovic was named Eastern Conference Player of the Week on Monday, the third Pacers player this season to win the award, joining Young and Victor Oladipo. It is the first time in franchise history that three different players have been named Player of the Week in the same season. Second-year guard Edmond Sumner signed an NBA contract with the Pacers on Monday morning. Sumner had been on a two-way contract, splitting time between Indiana and the Fort Wayne Mad Ants in the NBA G League this season.